According to ESPN reports, the State Farm Stadium could be a temporary home for the Cardinals as the Raiders are planning to head out of Oakland a year before the schedule. But again there are reports that a different Arizona City could play for the Raiders. 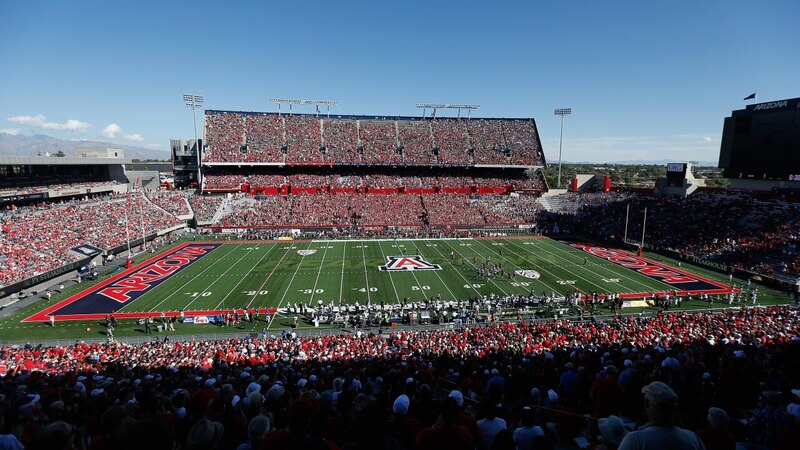 There’s a report by Arizona Daily Star’s Greg Hansen that, Ali Farhang, Tucson-based attorney has contacted Raiders president Marc Badain in an attempt to persuade him to let the team play 2019 home games in Tucson — specifically, at Arizona Stadium, home of the Arizona Wildcats football team since 1929. Before attempting to contact the Raiders, Farhang got approvals from the office of Governor Doug Ducey, Robert Robbins, president of the University of Arizona and athletic director Dave Heeke, along with Arizona Cardinals president Michael Bidwill. Farhang also told Hansen that he’s helped create the Arizona Bowl, and has an ownership stake with the Tucson Sugar Skull. And, he wants to bring over the leaders of Tucson to Oakland, and show them about the Raiders move. The Raiders would like to play in Oakland, but if the city files a federal lawsuit against them, they will look elsewhere to play next season. The lawsuit was filed last month against them in an effort to block them moving to Las Vegas in 2020. Leaving would only destroy the fan base they have in their home than they will have in later years.